Theists: Why is atheism so contentious to you? I looked up the word contentious and still don't know what you're asking. How about if I use a different synonym in the question so you can understand it. 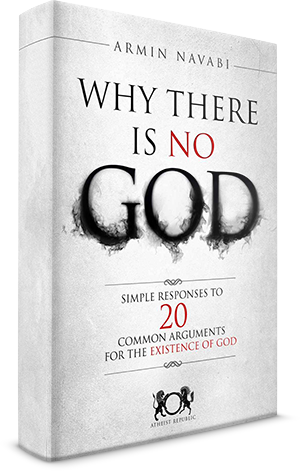 Why is atheism so [antagonistic, combative, disagreeable, perverse] to you? Take your pick. I have heard them all used against us atheists. Welcome to our little godless heathenistic paganism corner of the internet. And by all means, have some fun while you are here. causing or likely to cause an argument; controversial. Theists: Why is atheism causing or likely to cause an argument with (to) you? Seems clear enough. Or are you just being your usual smartass self John? Laying red herrings and straw men before any serious theist actually replies? Your substitution makes it worse. It's just an awkwardly constructed sentence all around. I am sure with all your graduate studies in communication you can work it out....or maybe they didn't take? Why Do so many theists argue with atheists or against atheism? Makes sense to me, why bother they're off to nirvana in the blink of an eye. 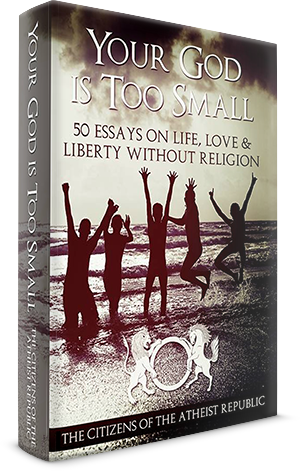 Why does an omnipotent omniscient deity need them to argue the toss for it? It's risible concept that only makes sense without the deity, then it's just people using a fictional belief to try and control others. The Master of Dodging, dodges again. Yet felt obliged to post an objection. Slightly ironic I'd say. It's semantic as the point is clear enough. If atheism was a problem for a deity you'd expect that deity to do something interesting on the vapid claims of its adherents. Where is this deity not to crush this site for example, and in such a way that unequivocally demonstrates it's existence and motives? Instead we are to believe that omniscience and omnipotence sits importantly by while other humans give uncompelling arguments on its behalf. Praying it will intervene daily, then paradoxically excusing it's inaction whilst mumbling the words free will. Why do they argue at all, let your deity sort it out. You can't help noticing the ones who most gleefully anticipate their deities vengeance seem determine to jump the gun as if they're not quite as confident as their hubris often suggests. @John 61X Breezy: Your substitution makes it worse. It's just an awkwardly constructed sentence all around. It seems perfectly plain to me. Why is atheism such a contentious (i.e., controversial) concept for Christians? I think there are several possible answers. For some Xtians, the existence of atheism is a challenge to their own fragile beliefs. Their own faith isn't strong enough to sustain their beliefs, so they need everyone to sing from the same hymn book. And then there are the genuinely concerned Xtians who are frightened of hell and damnation on our behalf. Worst of all are the believers who are offended on behalf of god or Mohamed or Jesus, etc. Well, the addition of words like concept, topic, and issue after contentious all make the sentence better. However, perhaps I'm overthinking it, but abortion is a contentious and controversial topic because there are arguments on both sides of the issue, as well as animosity between the sides. There is no controversy within Christianity about atheism. They all believe you to be wrong, plain and simple. @John 61X Breezy: There is no controversy within Christianity about atheism. They all believe you to be wrong, plain and simple. And if there's a growing number of atheists in pulpits, how many atheists are there in the pews? "They all believe you to be wrong, plain and simple." Do they keep that contentious opinion to themselves? Really John, you seem determined to crunch lettuce all evening and ignore your stake and chips. Why should anybody keep their opinion to themselves in the first place? They shouldn't, especially if it's contentious. As they seem to find atheism and atheists. I did not know you had an opinion. You continually evade, duck, and change the subject to avoid being pinned down on anything concrete. If you have any opinion, please let us know. Certainly, feel free to look up the dozens of threads I've started on any given topic. Like the ones entitled slavery, where you claimed the bible condemned slavery, but then refused to acknowledge let alone discuss any biblical texts that actually contained the word slavery? As I recall one thread wasn't enough for you to fully avoid that topic. I broke it down into bite sized pieces, and even then you couldn't focus. "I broke it down into bite sized pieces, and even then you couldn't focus." Being careful to avoid any "pieces" of the bible that actually mentioned slavery directly, ingenious in a thread where you were claiming the bible condemned slavery. I can only marvel at such ingenuity, as you point out I couldn't manage to avoid my focus straying to biblical texts that actually mention slavery directly in a thread claiming the bible condemns slavery. Maybe I can practice your technique by shoving my head forcefully into some sand? To me it just sounds like you prefer clinging desperately to hot takes, rather than reasoning systematically through an issue. I tried to walk through the basics on to more controversial points. Perhaps the reason you ignored each step was because you saw that my approach would make your argument fall apart. Information is the best friend of reason. Anyone who wants you to address an issue head on, without walking through its context and foundations, probably has a position based on ignorance. And I remember reading those threads and shaking my head at your posts. Please enlighten us on WHERE in the Bible does it NOT CONDONE slavery. Summarize those threads for me then. What was the principle argument of each one? arakish: Please enlighten us on WHERE in the Bible does it NOT CONDONE slavery. You CANNOT do it. Breezy: Summarize those threads for me then. What was the principle argument of each one? And Breezy dodges again! I never said anything about other threads in my request. And I even said "Please." No reasonable person, having read those other threads and read my current exchange with Sheldon, would have asked that question. It is, in essence, an admission of not having understood neither my argument nor my approach to it. AND I never asked a question. AND I never asked a question. I make a request. And I downgrade all requests into inquiries. Well, I ain't gonna fault you there. You got me beat when it comes to dodging. Yeah I guess he ain't going to show me where in the Bible it DOES NOT condone slavery because he KNOWS his Sky Faerie and Magic Zombie Virgin both CONDONED slavery. You claimed the bible condemned slavery. You cited some wish washy ambiguous texts, things like laws condemning kidnap, and claimed this inferred your point. It was immediately and repeatedly pointed out that the bible is contradictory, and that your claim was vague. Like the bible claiming murder was wrong but then your deity committing and encouraging indiscriminate murder in the bible. Lastly the text in the bible actually mention slavery were cited condoning it specifically. You refused to address them and sulked, then offered some nonsense dodge about the old testament being subordinate to the new. Then someone pointed out that in the bible Jesus condoned slavery, and on and on we went for page after page in multiple threads with you outperforming the artful dodger in Dickens's classic tale. The 9th commandment doesn't seem to apply in your thinking and posting on here. Which is another layer of irony, though most of us who have read enough apologetics will be well aware of the concept of "lying for Jesus".